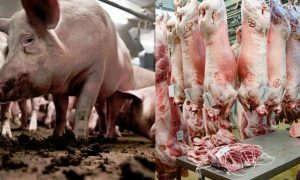 The recently developed scandal of Mufti Abdul Qavi, who is a member of the Ruet-e-Hilal Committee under the Ministry of Religious Affairs and Interfaith Harmony, and Qandeel Baloch, the social-media-wannabee turned diva-turn-supermodel, has taken an alarming new turn. 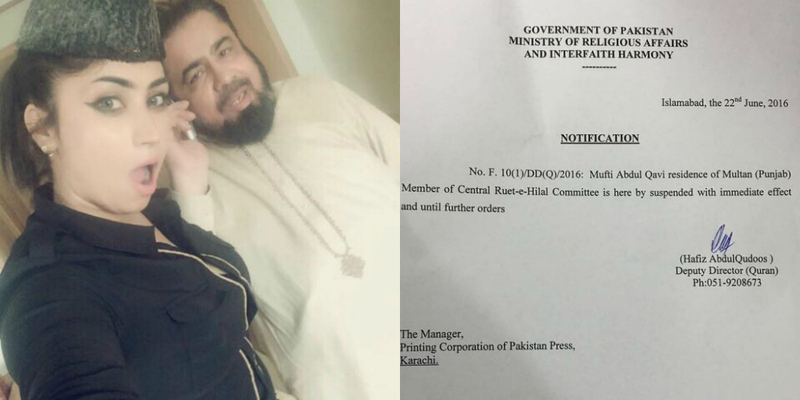 The one-day meeting with Qandeel Baloch has cost Mufti Abdul Qavi a lot more than just his respect and hold as a religious scholar. Rumors say that the issue has created disturbances in the personal and family life of Mufti Sahab, along with him, losing his job. 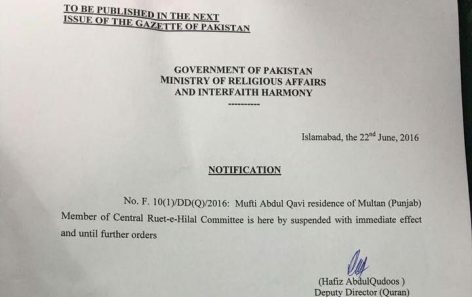 A notification launched by the Government of Pakistan’s Ministry of Religious Affairs and Interfaith Harmony on 22nd June 2016, says: Mufti Abdul Qavi residence of Multan (Punjab) Member of Ruet-e-Hilal Committee is here by suspended with immediate effect and until further orders. Signed by Deputy Director, Hafiz Abdul Qudoos. The sole reason for Mufti Sahab losing his job is him not being able to keep his emotions intact in the month of Ramadan. 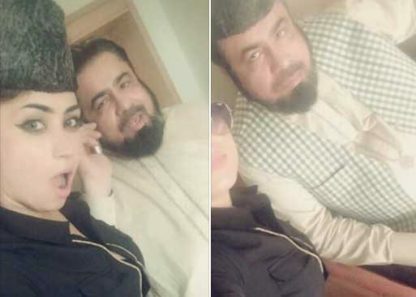 According to Qandeel Baloch, it was the Mufti who had asked her to meet him in the hotel room. 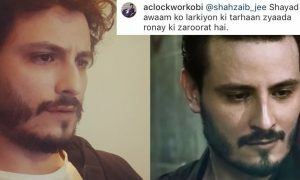 From wearing his Karakuli topi to nearly sitting on his lap taking selfies in the empty room, with just the two, to Qandeel claiming Mufti sahab wanted to ‘marry’ her. 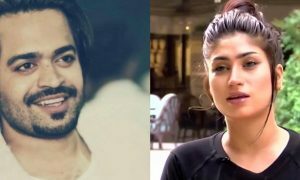 Qandeel told a local TV channel that: “Mufti Sahab is hopelessly in love with me”. Also adding that, Mufti Qavi was the Qandeel Baloch of Maulvis, quite a statement that. While Mufti Qavi had tried to defend himself several times, saying it was Qandeel who had invited him over, so he could take the ‘evil-eye’ of her, his claim seems to be of little importance, just as his position. According to Qandeel, the Mufti was so desperate in his actions.. he even told Qandeel he was ‘not fasting today because of Qandeel’s love‘ and he shared a bottle of Coca-Cola with her, and the cigarette she was smoking. 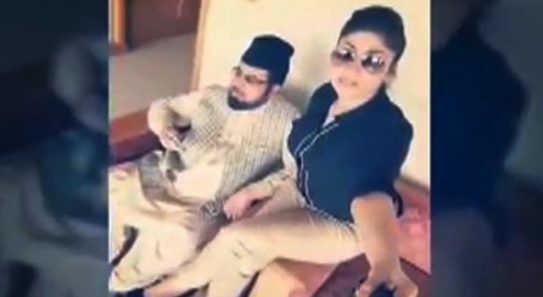 In the several videos uploaded by Qandeel Baloch, it can be seen that the Mufti was loathed in her efforts to film, which unfortunately for him, happened and he had to lose pretty much everything he had built in his career so far. Moral of the story: if you’re going to do something stupid, make sure it doesn’t involve the stupidest person in the country. This can also be taken as a pro-tip.